I am by no means a germaphobe, but I do wash my hands plenty of times throughout the day. Because I wash them so frequently, I am very particular about the hand soap that I use. 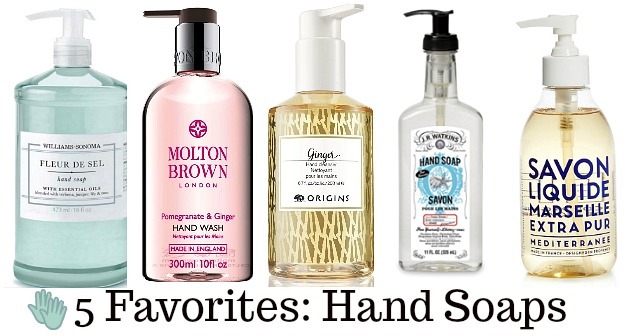 I used to use inexpensive hand soaps, but they smelled very generic and were harsh on my hands. Now I switch between a handful of favorite hand soaps. This hand soap is so fragrant and serene. Made with premium-quality essential oils with notes of juniper, verbena, lily, and rose, this soap smells like a French meadow. It's biodegradable and has not been tested on animals. Also, contains no parabens. I first discovered this soap when I picked up a few bottles at Marshalls. I fell in love immediately. 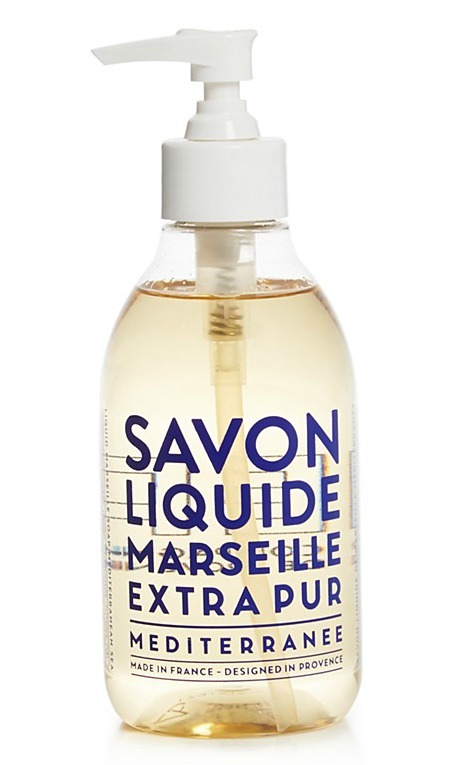 The scents are divine (my favorite is Mediterranean Sea), and the smell lasts on your hands until your next wash. I love the simple bottles too. There's nothing elaborate about them, making them the perfect addition to your kitchen or bathroom sink. Target carries the whole line of J.R. Watkins' products. 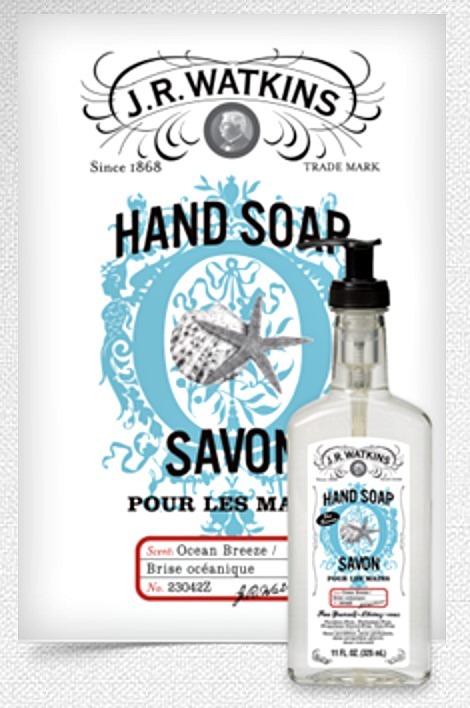 I am partial to the hand soaps, especially the Ocean Breeze scent. 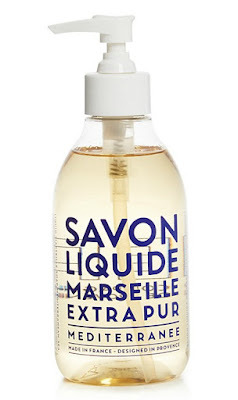 At $4 per bottle, this soap is an excellent value for the money. It's been a big hit in our house since I bought it on a Cartwheel deal at Target last month. 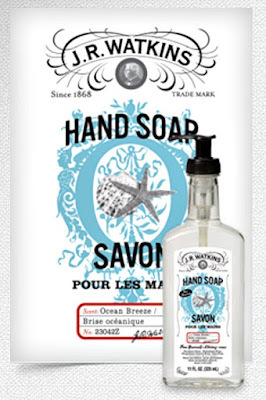 This soap is luxurious as far as hand soaps go. It's skin-boosting ingredients keep your hands hydrated and subtle fragrances keep them smelling divine. Over 15 years ago, I got hooked on the ginger body wash by Origins. When I found out they Origins made a ginger hand soap, I was beyond excited. The hand soap smells exactly like the body wash. It is such a soothing and refreshing scent that you'll find yourself washing your hands for no reason at all!